A number of Surface Pro 3 owners have taken to Microsoft's support forum in recent weeks in search of answers as to why their devices are seemingly overheating. The issue appears to only be affecting higher-end slates equipped with Intel's Core i7 processor but according to Microsoft, there really isn't a problem - but they're working on a solution anyway. In a statement sent to Paul Thurrott's Supersite for Windows, Microsoft noted that the i7 version of the Surface Pro 3 is a first-of-its-kind tablet delivering i7 processing power in a thin and light package. As such, this increased power calls for the system's cooling fan to spin more regularly and at higher speeds - and for the unit to run "slightly warmer." 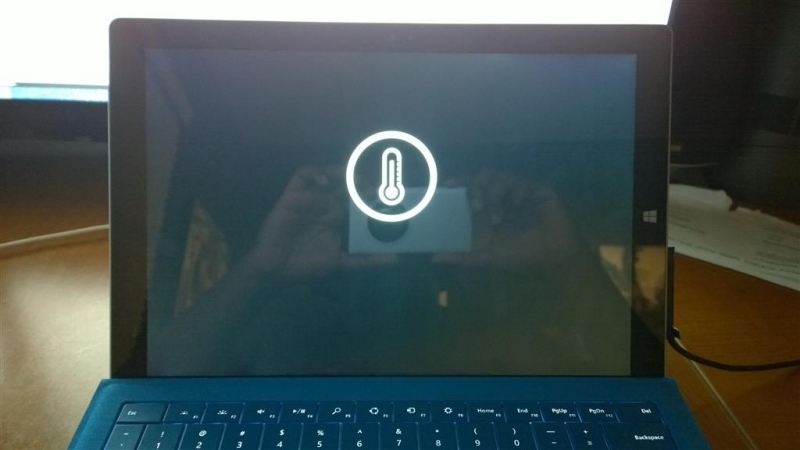 Having said that, Microsoft added that the Surface Team is aware of a very small number of Surface Pro 3 Intel Core i7 devices that are temporarily restarting and incorrectly showing a thermometer gauge icon while attempting to reboot. Their investigation revealed that the system is triggering this event sooner than it should for some. Microsoft concluded that they have an update in the works that will be ready as soon as possible. Microsoft unveiled the Surface Pro 3 back in May at an event where most expected to see quite the opposite - a Surface Mini. That oft-rumored device was real but it has now been shelved by Microsoft.